Mumbai is a city that has it all. The city is home to varied experiences that might not even find mention anywhere else in India. From great eating places to a buzzing nightlife, and even adrenaline racing adventure sports, tourists who come to the city can witness it all. Whether you are a beginner or a pro at adventure sports, in Mumbai you’ll find many places that will give you an adrenaline rush. However, we’ve picked the top 15 adventure places in Mumbai that offer the best opportunities for action in the sky, on land, and even in the water. Essel World is the largest amusement park in India and Water Kingdom is one of the largest Theme Water Parks in Asia, spread across an estate of sixty-four acres. Go to this theme park if adventure rides are what you always crave. Here, you will find some of the most thrilling rides in western India. From slides that zip from the top to old-fashioned roller coasters, you’re bound to get your fill of adventure. The Water Kingdom park, too, has several theme-based rides that are designed to offer you an electrifying experience. Hakone is perhaps most famous for its go-karting, but it does have a lot of other entertaining and fun games for kids and adults. Ideal for a day out with friends or the family, one is sure to have tonnes of fun at the many rides and arcade that exist at Hakone. Aqua pad boats, paintball fights, bumping cars, pool tables and much more are just some of the fun activities that one can enjoy at this centrally located adventure place in Mumbai. For those who would like a nice comforting meal after enjoying all the fun, there’s a lovely food court here too. 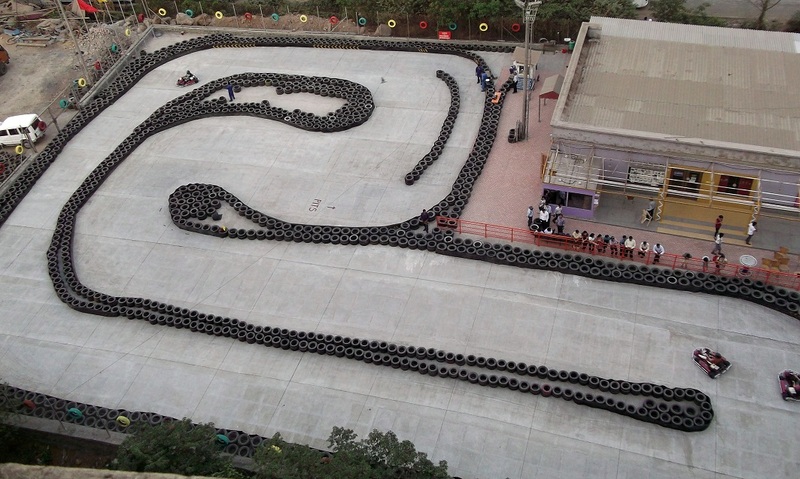 Smaaash, a Start Sports initiative, is one of the great adventure places in Mumbai. It’s got bowling, a host of challenging games you would find at an old-school carnival, an aeroplane simulator, and even a huge space for go-karting. The prices can be high, but it’s totally worth it, and every other week they do offer some good discounts for groups. The Sanjay Gandhi National Park, also known as the Borivali National Park, is one of the few open-air parks in Mumbai. The landscape background and the clean environment make the park the perfect place for outdoor activities. At the park visitors have plenty of activities to indulge in. One could choose to go on a trek, embark on a long scenic walk to the historic Kanheri Caves (you can even spot a few wild animals if you’re lucky). Do carry your camera, for there are plenty of opportunities for a photograph. Located in Mumbai, the Mud Rush is Asia’s first mud run. Ideal for anyone looking for a one-of-a-kind adventure experience. Whether it is with the family, the office group, or friends, one will certainly have a unique outdoor experience with activities like chocolate wrestling and the famous mud race that’s held in Kolad, Pune, Silvassa and the Film City. Where: At various locations in and around Mumbai. Situated in Marine Lines, the H20 water park is one of the few places in Mumbai to experience water sports. Whether you like jet skiing, sailing, or even boating, you’ll be able to enjoy all of them at the H20 centre. Seasoned water sports enthusiasts can indulge in advanced adventure activities like dragon boat racing, kayaking and even windsurfing. The best part about this centre is that it also offers training courses for those looking to get themselves introduced to the world of watersports. Ever felt like riding a plane? You could do that at the only aircraft simulator in Mumbai that’s situated at the Phoenix Marketcity, Kurla. A one-of-a-kind experience, here you can hop into the pilot’s seat and witness what it actually feels like to ride a plane. You could choose to fly a fighter jet, a Cessna, or even try your hands at the sophisticated Boeing 737. Each ride lasts about 30 minutes and it’ll cost you about Rs. 5000 for a single ride. Please note that rides are not suitable for kids below 6 years of age. Where: Phoenix Market City, Kurla, Mumbai. Let’s Play in Thane is one of the few places in and around Mumbai that offers indoor adventure sports for the family. The place has quite a few activities and fun games that range from easy to complete to difficult. At Let’s Play, one can test their jumping skills on the trampoline or attempt the challenging climb up to the top of the interactive wall. There’s also a few leisure activities like dodgeball and slam dunk ring to enjoy with family and friends. For kids, there is a play area that has very safe rides. One of the only rides situated in a mall, the roller coaster ride is something that every person should experience in their lives. Called the Astro Express, the ride is suited for kids as well as adults. The best part about the roller coaster here is that it has both vertical and horizontal hoops. In the same mall, there’s also a gaming zone for kids to enjoy. Adults too can have fun at the many arcade and virtual games. In case you feel hungry after playing all the games, there’s also a food court nearby that serves some international cuisines. Besides snorkelling and scuba diving, there are other activities like parasailing and water-based sports activities that are carried out here. Kolad may be considered the watersport capital of adventure places near Mumbai. If you are looking to enjoy water sports in and around Maharashtra, there’s no better place than Kolad, especially on the streams of the Kundalika River. On the river, adventure seekers can enjoy one of the most thrilling watersports and water rafting. The scenic landscapes that surround the Kundalika River add to the lovely experience of rafting in Kolad. If you really want to get the best water rafting experience, we suggest that you go during the monsoon session, i.e. from June to September. Della Adventure Park is well known in Lonavala for the wide range of adventure activities available here. Due to its popularity, it’s a popular weekend getaway destination amongst the people of Mumbai. The adventure park offers various adventure activities like zorbing, swoop swinging, motocross biking, fly foxing, ATV riding and many more, with the scenic backdrop of the Khanda valley. The park also has a multi-cuisine restaurant, where patrons can proceed to once they are done with the day’s activities. Kamshet has located approximately a 110 kilometres away from Mumbai, situated between two hill stations, Khandala and Lonavala. Owing to this feature, Kamshet is blessed with a unique topography that which makes it a very favourable spot for activities like paragliding. There are organizers like Nirvana Adventures that conduct a two-day paragliding camp, teaching newbies all the basics of paragliding. The students are then given an option to make jumps off the plateau on their own. Those who don’t want to take part in the two-day course can also opt for a tandem jump, which is a jump done with an instructor who guides the entire course of the glide. The Kalsubai Peak is the tallest in Maharashtra, standing at 5400 feet above sea level. It is a key attraction of the western ghats of Maharashtra. The trek in itself lasts about three hours, beginning from the base village of Barigaon. At the top, the Kalsubai temple attracts the likes of pilgrims and adventure enthusiasts. The best time to visit the peak is the monsoons during which the entire mountain range turn green and provide an exhilarating view for the trekkers. So this one is a bit far, but totally worth it if you’re looking for adventure. Dandeli is a town on the Western coast of Karnataka. Staying in the jungle, you’re as close to nature as you can be. The key highlight of Dandeli is the walkthrough and stay in the jungle. During the walk, you can spot the exotic wildlife like the elephant, bison, black panther and leopard from the nearby sanctuary. The jungle is also home to some of the most exotic birds that the country has ever seen. Besides the stay, other activities like snorkelling, rafting, rappelling and angling are also conducted here. The next time you’re looking for some adventure places in Mumbai but are not sure where to go, we suggest that you choose one of these amazing places. They are equipped to give you the best experiences and will certainly make you come back for more. Want to know more? Let us know in the comments.